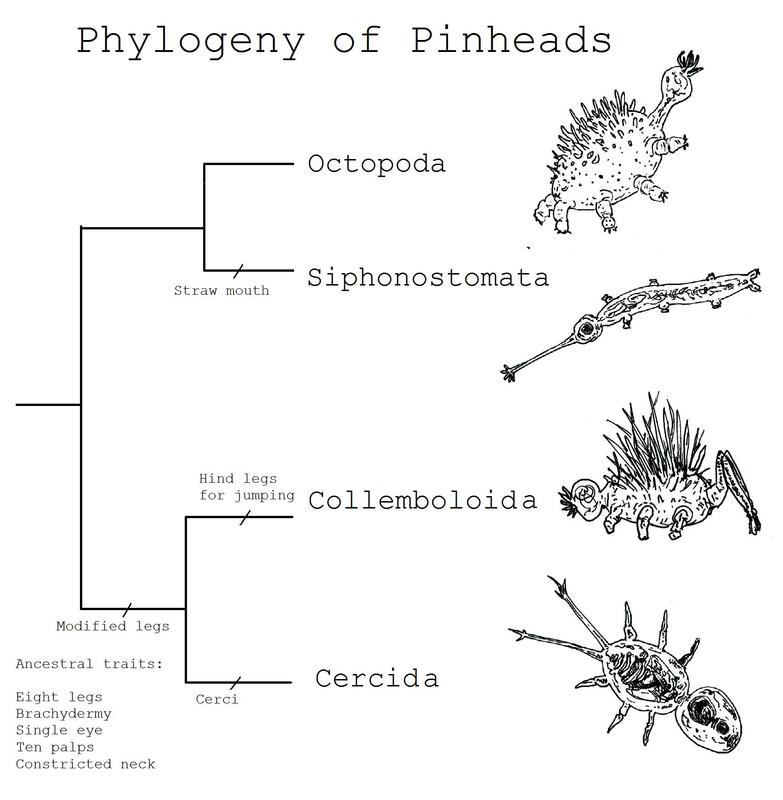 Pinheads are the vermovillosids’ diminutive sister clade. These unassuming soil organisms are present all over Ilion’s habitable half. Few reach sizes larger than what can fit on the head of a pin. There are four orders which are known only by their greco-latin name, as are most species within the group. They help dead organisms decompose and are a food source for many small animals. Octopoda – These animals have few distinguishing features and in fact bear close resemblance to the common ancestor of pinheads and hairy grubs. They superficially resemble bottlenecks but are much smaller and only distantly related. Siphonostomata – Siphonostomata, or straw-mouths, use their modified mouth to extract nectar from caecosperm and crassimorph black plants. Pollen sticks to the mucus on their face and mouth so that they will fertilize other plants. Collemboloida – Named after Earth’s springtails, collemboloids can hop great distances relative to their body size. They use this ability to escape predation and reach new food sources quickly and efficiently. Cercida – Cercid hind legs evolved into paired stingers. Their venom is mild but in large numbers they can ward off most predators.